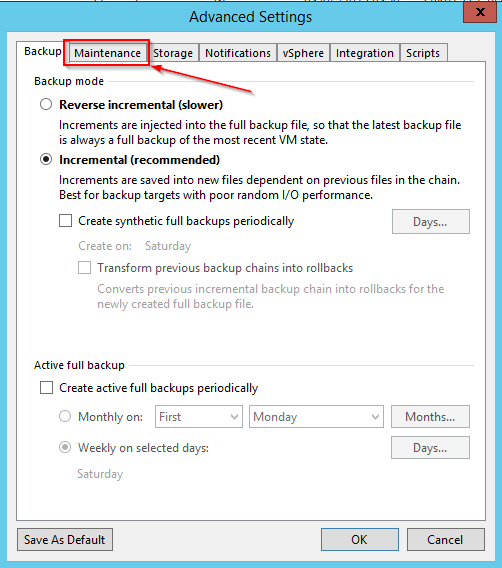 If like me, you’re an admin of a large Veeam infrastructure/estate, then there will come a time where you need to make changes to a setting/settings across the estate. 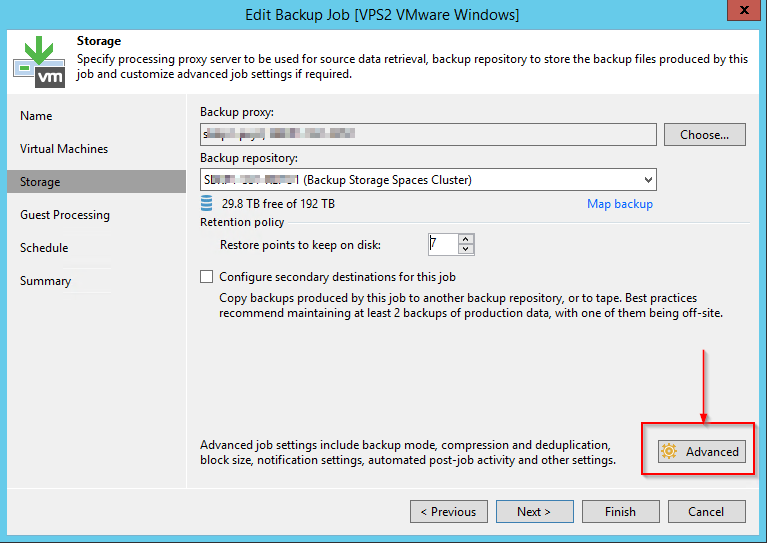 For example, you may want to want to enable Storage Level Corruption Guard on all your VMware backup jobs. On the Storage screen, click Advanced. 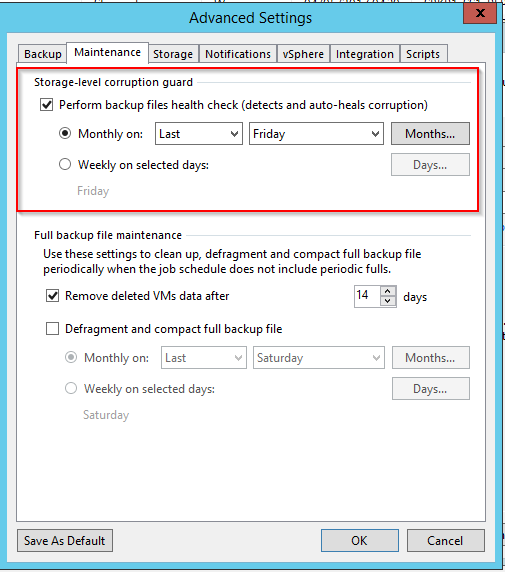 To periodically perform a health check for the latest restore point in the backup chain, in the Storage-level corruption guard section select the Perform backup files health check tick box and specify the time schedule for the health check. 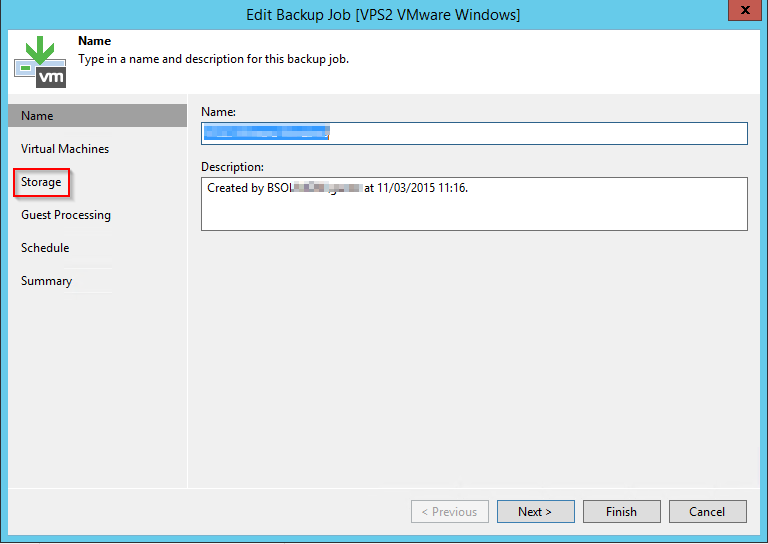 Now if you imagine doing that across say 15-20 backup jobs, this task soon becomes quite laborious. 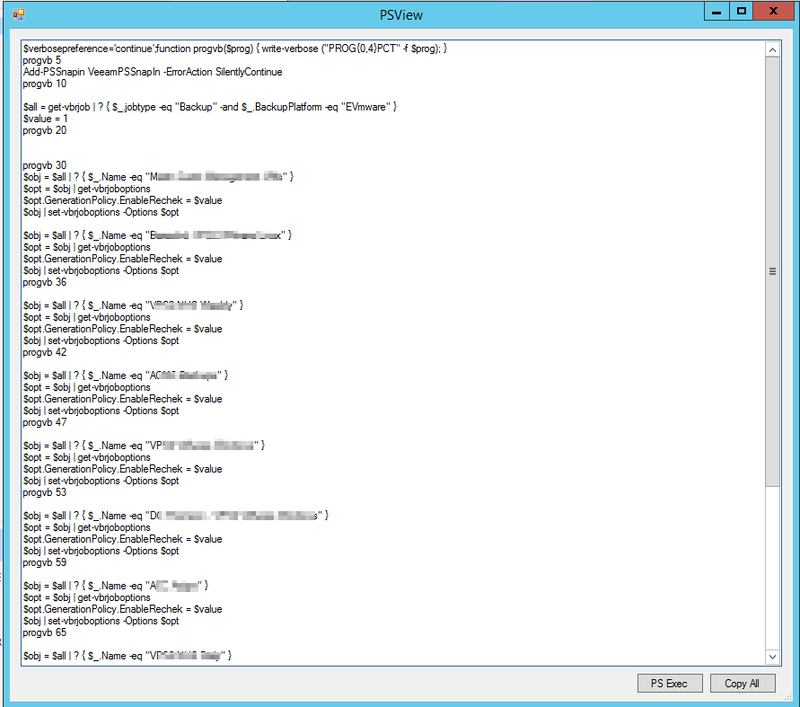 One obvious answer is to use PowerShell and script these changes, which in itself is time-consuming to compile. However thanks to the always helpful Tim Dewin (https://twitter.com/tdewin), a Benelux Systems Engineer for Veeam, there is now a way to apply these changes en masse quickly. **NOTE** you will need to run the application from an administrative account or using the ‘Run as administrator’ function. 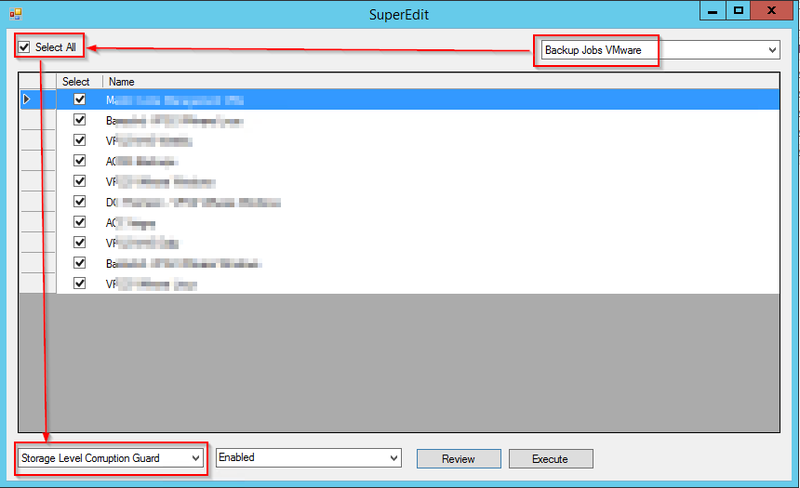 If you don’t, then your Veeam jobs/devices won’t show up in the application. 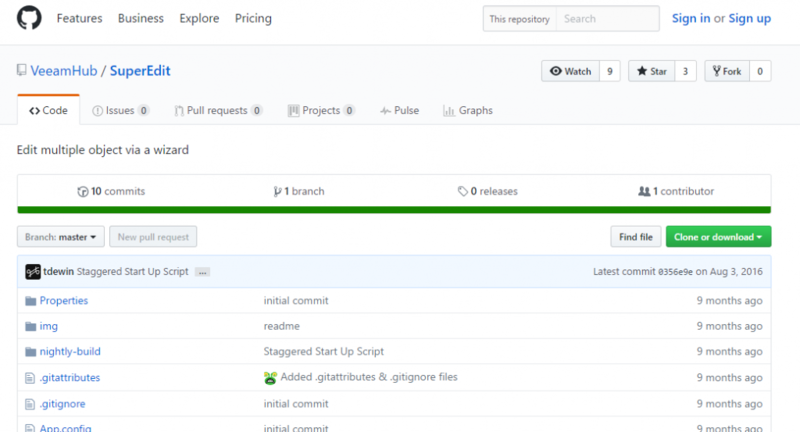 At this stage, I can Review the PowerShell command that will be executed against my VBR server, and make amendments if necessary. Pingback: Veeam Vault #6: Pre VeeamON 2017 Edition! New Logo, Update 2, VAW and Vanguard Roundup - VIRTUALIZATION IS LIFE!